The Griffin M4SDII Flash Comp is Griffin's flagship product. 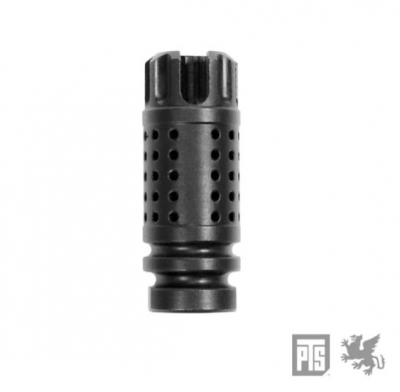 It combines the distinctive design and functional recoil control ability of the Griffin M4SD Tactical Compensator with increased flash suppression capability via the addition of the 3 pronged tips to provide the optimal balance of recoil control and flash suppression with minimal compromise for both functions. 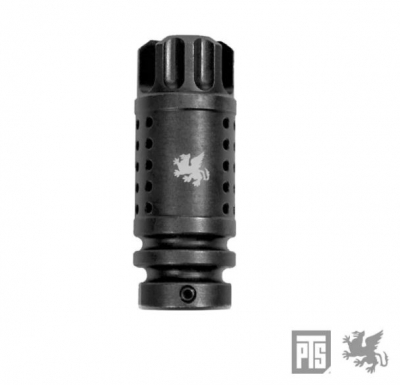 The Airsoft version has been designed to be compatible with any A2-compatible suppressor mount including the PTS® Griffin Armament M4SD Suppressor.